Highlighting women who have not only had successful careers in B2B and driven results for their organizations, but have also helped to break new ground for women to advance their careers and roles. 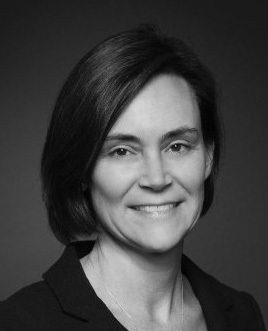 Jane Cook has a 20-year track record of driving results in the B2B space and a commitment to developing a pipeline of top female talent at American Express. In 2017, for her work on OneSight and other critical projects, Cook was awarded the prestigious Hall of Fame Award, which is the highest recognition awarded to an employee of the Global Commercial Payments business unit at American Express. Additionally, Cook is Co-Chair of the Women’s Interest Network at American Express, in which she joins senior executives in developing programming and content to support the development of women at the company. Cook and her team have successfully implemented OneSight for tens of thousands of Corporate Clients. This innovative capability analyzes American Express’ commerce data, allowing users to gain critical insights as they manage their corporate payment programs. OneSight delivers an elevated customer experience by providing key analytics, peer benchmarking and recommendations above and beyond standard reporting. High performing teams contain talent, passion and drive focused on a customer need. OneSight, our new insights solution for our U.S. Corporate clients provides easy access to commonly asked questions and contains a level of artificial intelligence to layer on value added recommendations, such as suppliers their peers are leveraging. The team coalesced on the common goal and brought their respective expertise to the initiative. Leading the overall product construct was my Director of New Product Development Michelle Geller, who rallied her team made up of Martin Forshaw, Product Development, Mariam Choudhury leading Product Marketing along with technical innovation brought by the leadership of Yogaraj Jayaprakasam, director Sanjay Madaan and designer Daniel Flomin. OneSight usage by clients has steadily increased since launch. Additionally our sales and account development have access and leverage it across our customers’ lifecycles from sales through expansion and retention. Approximately 20% of the team’s time is focused on innovation, with 80% focused on strategy and execution of a concept for delivery to our clients. They are encouraged to innovate freely in the landscape of data and software development. Concepts are reviewed on a regular basis and pushed through if there is an immediate application. Often a concept will be developed and matched to a use case later when the work is prioritized for delivery to our clients. We maintain a collection of innovative solutions in a repository and seek patents where applicable. Lauren Vaccarello, a data-driven B2B marketer, has a well-known reputation for building high performing marketing teams and accelerating revenue growth at companies such as Salesforce, AdRoll, Box and more. Currently, she is the mastermind behind Box’s successful ABM program. Vaccarello is also prone to impulsive travel. She once had a layover in Houston and ended up jumping on a flight to Costa Rica instead of heading home. Vaccarello is nothing short of a B2B innovator — she is an active leader, mentor and was even recognized by San Francisco Business Times as one of “San Francisco’s Most Influential Women in Business.” Not only is Lauren the executive sponsor of Box’s Women’s Network, an employee resource group, she is also starting to dip her toes in a new project that involves providing advice to nonprofits and focuses on making grants for women’s initiatives on their marketing campaign. 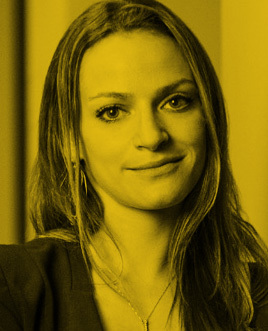 Her efforts don’t end there; Lauren is also actively acting as mentor at GrowthX Academy and Co-founder of “Innovators for Women’s Health,” a community created to connect the technology leaders with women’s healthcare organizations to drive progress. Late last year, I noticed an opportunity to drive more value for our customers and for the business. After several months investigating the potential, I received the blessing and investment from senior leadership to launch a new customer engagement program at Box. I am completely redefining how our admins and end users experience Box after they purchase. This starts with how customers are onboarded to maximize adoption. It then looks at how we drive sophistication via things like a re-imagined release communications program. From there, this program focuses on how to build an ecosystem of advocates. All of these things culminate in expansion and increased customer lifetime value. Technological infrastructure has been a key component of this program. First, we have a lot of work to do on our data, which is where Radius is playing a part. We also launched a scalable customer engagement tool called Iterable which allows us to create personalized onboarding programs for customers based on behavioral triggers, such as product usage combined with account potential. The idea of customer-first thinking is ingrained in my team. How do we provide value for our customers and break down walls to help do that. My team also knows that ‘this is just how we do things’ is never an answer. I’ll challenge them on if that is the right thing to do for the customer and what the creative solution is. A great example of this is how we’ve reimagined the way we communicate product releases to customers. The initial ideas were around process fixes, but I’ve pushed the team to think bigger. The team spoke with customers, looked at usage data, looked at how customer sophistication drove value, and dug into the outliers. From there, we came up with new and creative ways to solve the problem. This includes a heavier usage of video and personalized content based on personas. Initial experiments have seen 10x engagement and accelerated product adoption. The fully revamped experience will be like nothing in the industry. Stay tuned. A big component of innovation is having a safe environment and very clear objectives. The team acts like a family, which means we communicate, we can disagree and we can be ourselves. It also means that the team will always support one another. This is overlaid with clearly defined objectives. The output is working sessions to solve problems where crazy ideas are encouraged. We believe in finding what is possible and no one gets in trouble trying something and failing. 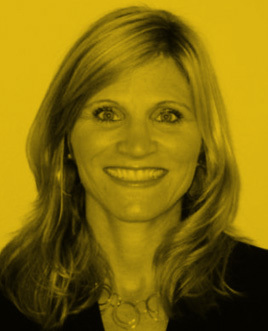 Kirsten Smith has led marketing strategies for Glassdoor for more than four years, leading a team of more than 30 marketers and generating solid results for the company. She’s innovative, passionate and dedicated to make the company’s marketing practices best-in-class both inside and outside of the industry. Outside of work, she’s a softball coach, a tequila aficionado and loves anything to do with the water (warm, cold or frozen) including floating, sailing, power boating, snorkeling and skiing. Smith has drastically evolved the nurture, content and event marketing strategies at Glassdoor. She’s pushed her team to reach new heights and not miss any potential buyer in the process. By shifting the content strategy to produce in-demand content (like template and checklist formats), over the course of one year (April 2016 – March 2017) the number of inbounds generated from content increased by 147%. This shift has also impacted revenue positively. The company has increased pipeline by 96% from content alone. Can you share any details about how your team, or​ individuals on your team,​ have helped drive innovation or how your whole team has helped achieve results? Our digital team drives innovation by constantly testing new technologies, CTAs, copy and designs to optimize our web and digital advertising presence and conversion. Testing is not sporadic for us, it’s a constant. A test plan is part of our road map every quarter so we can keep innovating. Our operations team is always looking for ways to do things more efficiently and keep up with our growth goals, so they regularly bring in regular new technologies to solve our biggest problems in operations and analytics. For example, this quarter, we solved the challenge of needing to accelerate net-new leads by implementing the ClickBack email system. We’ve also implemented Full Circle CRM to enable stage-to-stage analytics at a granular level and have employed SiriusDecisions to benchmark us against like companies in a wide variety of areas so we can keep pushing forward. Our content and programs teams are always pushing to innovate. We experiment frequently with content and webinar formats, topics and delivery — our mission is to bring a wealth of new content (varied in both topics and formats) to market every quarter. This quarter, for example, we crafted an engaging social video for “bring your kids to work day” that was our biggest video of the year and garnered massive success on social media. We also partnered with influencers like Draymond Green and Danica Patrick to create engaging viral blog posts that brought tremendous traffic to our website, including an impressive number of new users. Another interesting content program that generated significant interest was customizable employee engagement posters. Prospects and customers can customize and print these assets in their offices to encourage employees to leave Glassdoor reviews. We also run a lot of strategic events and are trying everything from strategic dinners to baseball games to concerts. We overnight personal invitations for these type of events to give them that personal touch. Finally, we regularly test subject lines, CTAs, copy, and we build our plan based on SEO goals in order to get maximum optimization. Everyone on our team has specific goals around innovation each quarter and we conduct regular brainstorming sessions to keep the ideas flowing. We also conduct regular task forces with every sales team and our recruiting team to generate ideas. We take part in customer surveys and research to make sure we understand the latest problems they are grappling with so we can help solve them in innovative ways. I personally subscribe to emails from dozens of great marketing organizations and follow them on social so I can keep tabs on the latest and greatest tactics that other companies are employing. I pass along anything interesting to the right members of my team so they can stay in the loop and consider new things. I reserve a budget for everyone on my team to attend trainings and conferences so they can network and learn new things. We have no shortage of amazing and innovative ideas – now if we could only implement them all! Within the organization, our team is very close to our customers/prospects, so we’ve built a relationship where we are able to provide a lot of input to the product and engineering teams and help paint the picture of the problems we need to solve for our audience. We are constant champions of product innovation and we regularly brainstorm and bring ideas (backed by an impact/ROI analysis). Our freemium solution was marketing driven and we’ve been championing improvements for our audience ever since.